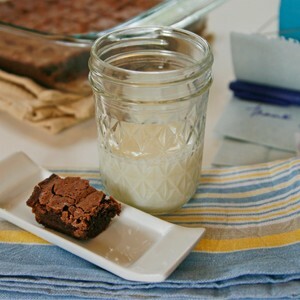 Oh, brownies … served warm or cold, with ice cream or not, they are such a super treat. 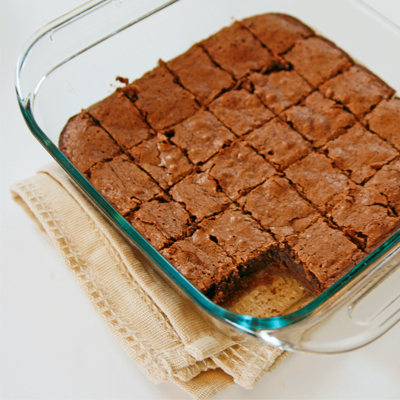 These ones, from an old family recipe, are thin but super fudgy brownies with a light, crackly top. Heavenly! 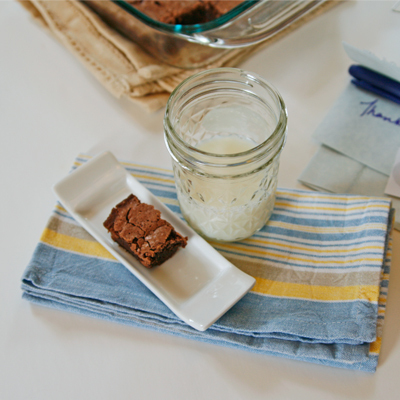 This recipe, called Agnes’ Brownies, is adapted very slightly from my handwritten and bound family cookbook. Agnes wasn’t a family member (or, at least I don’t think she was) — she was the local reverend’s wife and probably lived somewhere nearby my family (the church was walking distance from the family homestead). These were part of last weekend’s bake-a-thon (but don’t worry … this isn’t turning into a sweets or baking blog. It’s just been that kind of week. We’ll be back to savory foods on Monday). 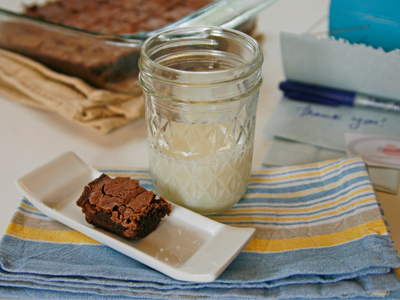 Back to the brownies … If you are shy about homemade brownies made with melted chocolate, you aren’t alone. I was too. But you can’t beat the flavor of a really good unsweetened chocolate (I used Ghiradelli’s Bittersweet Chocolate for these) and the ensuing fudginess. And here’s a little tip I learned recently: If you want your brownies to look as fudgy as they are, cut them using a plastic knife. It totally works. Preheat the oven to 375 degrees. Spray an 8x8-inch oven-safe baking dish with cooking oil spray. In a small saucepan set over low heat, melt the chocolate and butter together, stirring constantly. Once its completely melted and combined, remove from heat. In a medium mixing bowl, stir together the sugar, beaten eggs and vanilla extract until combined. Drizzle the chocolate mixture in while continuing to stir. Sift together the baking powder and flour and then add to the wet ingredients. Stir until well combined. Pour the batter into the prepared baking pan. Tap gently to even out the top. Bake for 15-20 minutes until a toothpick inserted into the center comes out clean. These look unbelievably scrumptious and my mouth is watering. These definitely seem like heavenly brownies! Lol! Wish I could dive into my computer screen to have a piece of these brownies! I just cannot resist.. I love family recipes. Thank you for sharing and letting us in on your treasured recipe!